As the United States was preparing itself to enter the great conflict over in Europe, baseball was taking on a new meaning to the players and fans throughout the country. With a countrywide armed services draft looming in the near future, many communities rallied around their war efforts, forcing many baseball leagues hard pressed to find good baseball players and umpires to play baseball during this season. When the 1917 baseball season began, eight Class D leagues began play. However, by May 30, the once stable North Carolina State and Georgia-Alabama Leagues had disbanded because league clubs could neither field full teams or were losing money due to the lack of attendance at their ballparks. On June 6, the Central Texas League followed, and by July 4, the Dixie and Northern Leagues were no longer in existence. The Central Association received permission to shorten their season on August 7, leaving on the Western Association and the Blue Ridge League as the only two remaining Class D leagues to complete their regular seasons as scheduled. The exodus was evident through out professional baseball. None of the Class C leagues completed their seasons, and only the Major Leagues and Class AA leagues went unscathed. The Class D, Blue Ridge League survived, thanks to the consistent leadership of League President, James Vincent Jamison, Jr. Despite many uphill battles throughout the season, the league prospered despite the adverse conditions. Chambersburg Too Big For Their Britches? Coming off their first league championship in 1916, the Chambersburg club started off the season with a brash air of confidence that irked the rest of the league, sparking controversy within the league during the early part of the 1917 season. Prior to the season, each club was required to pay a non-refundable $450 forfeit fee to the league. The Chambersburg directors, led by a man named Kottcamp, refused to pay this fee, stating the fee was too expensive, and they would not pay it, earning them the ire of President Jamison, and the other league directors. As fate would have it, the Chambersburg was beset with many injuries, highlighted by their star player, first baseman Karl Kolseth. 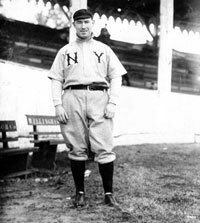 Kolseth, the most feared hitter in the league at the time, broke his leg sliding into second base during the first week of the season, and was out for the remainder of the season. Internal problems also plagued the Chambersburg club, as Manager Eddie Hooper and his players were at odds with the club directors, some fans, and one of the local newspapers. The Gettysburg club, which was having severe financial difficulties, also did not pay their forfeit fee prior to the start of the season. These challenges proved to be the biggest test in Jamison’s presidency of the league, and he held steadfast. In the meantime, Colonel Russler and representatives from Cumberland, MD made a request to enter the league. The Colts, as they were called, played in the now-defunct Potomac League in 1916, and had kept their club intact, playing an independent schedule. Jamison continued to request Chambersburg to remit the full forfeit fee to the league, and issued a dated ultimatum to the Chambersburg directors by June 30. If they failed to comply, he would take their franchise from them, and give it to another club that requested to enter the league. Jamison made good on his promise, and instructed the Colonel Russler of the Cumberland club to take over the Chambersburg franchise effective immediately. Despite the protests of the Chambersburg directors, Maroons Manager Eddie Hooper and his players played their last game in Chambersburg on June 30. The team packed up their bags, and headed west to Allegany County, Maryland. Playing two days on the road, the disenfranchised club played with no nickname, until they arrived in Cumberland for the first time and played as the “Cumberland Colts”. Hooper, who was also the league’s best player during the league championship season the year before, did not like the situation his club was facing, and refused to report when the club had their first home game in Cumberland a few days later. Hooper resigned as Manager, and was replaced by veteran player/manager, Brook Crist. This did not sit well with some of his former players, and by the team played in Cumberland, only a few players remained from the club that started the season in Chambersburg.. The six original Blue Ridge League towns each had their own Sunday Blue Laws, prohibiting play of any sporting activities that required a ticket for admission on Sundays. Up until Cumberland admission to the league, games were played between Monday through Saturday, with a day off on Sunday. Allegany County, MD did not have the Sunday Blue Laws that the other counties or townships in the league had, and the Cumberland club was known for drawing large crowds to see the Colts play on Sunday. Despite some protests from a few of the league clubs, Cumberland scheduled to play games on Sundays. Cumberland defeated visiting Hanover, 5-4 in the first ever Sunday game played in the Class D, Blue Ridge League. However, Gettysburg and Hagerstown, refused to play any games on Sunday. The addition of Cumberland into the league caused many logistical problems for some of the teams, especially the clubs in Gettysburg and Hanover, PA, which was the eastern most towns in the league. When the Ponies drove to for the their first road trip to Cumberland, the trip took almost eight hours through the hilly, mountainous terrain. By the time the Gettysburg team arrived in Cumberland, it was two hours after their game was scheduled to play, almost causing them to forfeit. After an agreement, the two clubs played a double header the next day, but after the Gettysburg club returned home, their club directors complained to Jamison about the unexpected costs they incurred, and the difficulty they faced in traveling with having a day off. Considering they had budgeted to travel 50 miles one-way to Chambersburg, PA for the entire season. Instead, they found themselves traveling almost 170 miles one-way to Cumberland, MD, which required over night stays. According to one Gettysburg club official, the cost for one trip to Cumberland, tripled their total travel expenditures from the previous season. In the meantime, Jamison faced other worries with the financially struggling Gettysburg, PA franchise. Playing their home games at Nixon Field at Gettysburg College, the Ponies had difficulty in collecting admission to their games, since their they did not have an enclosed grandstand or fence surrounding the outfield. It was common to have vehicles parked along the playing field during league games, causing the umpires to enforce special ground rules for baseballs that would roll under cars, and into fans, sitting in the outfield. The Gettysburg club was becoming a losing proposition, and reports that their players were not paid for two months. According to Jimmy Dykes, an infielder on the Gettysburg club, and later a player and manager in the Major Leagues, some of the better players on the Gettysburg club traveled to some of the other league clubs to try and play under an alias to play in a game or two, just to earn a few extra dollars on the spot. That evidently ended abruptly when a few were recognized by one of the opposing managers. Joe Ward, Gettysburg Ponies, Manager. Gettysburg had their franchise taken away by League President Jamison in late July, when he found out the directors had not paid their manager and players for almost two months. Jamison contacted representatives from Piedmont (WV), and York (PA) about replacing the Gettysburg franchise. When local business leaders from that town heard about the proposed move, they got together to collect the minimum funds to keep the club running for the remainder of the season, and after a guarantee the funds were available, Jamison agreed to return the club back to Gettysburg a week later. A dispute later would arise over this matter, than would be upheld in the Pennsylvania courts over the next four years. Martinsburg’s veteran Player/ Manager, William “Country” Morris headlined the list of managers who led their clubs during the 1917 season, marking his third season at the helm of the Mountaineers. 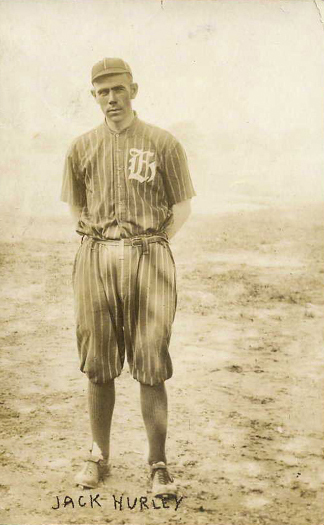 Eddie Hooper, started the season as the Chambersburg player/manager, until he was replaced by Brook Crist, after the franchise was moved to Cumberland, MD. Hagerstown brought new life into their club with the addition of popular player/manager, Jack Hurley. 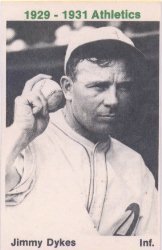 Hurley also received help from veteran outfielder, Charlie Dysert, who served as interim manager for a few games during the season, while Hurley was out.Former Major Leaguer, Tom Crooke, took over as Manager of the Frederick club, who had renamed themselves, the Hustlers, after their 1915 League Championship moniker. Joe Ward was hired to manager Gettysburg, and stayed until the last two weeks of the season, when he left the club, and was replaced by pitcher Johnny Mumford to finish the season. Despite all the controversy the league faced off the field, their was baseball still being played on the field. When the dust settled on September 4, the Hagerstown Terriers finished with a 61-36 record to earn their first league championship. The title was a little tainted, by the frustrated Martinsburg club, who finished second (59-40), for the third year in a row. Gettysburg, despite all their financial woes, still had a respectable showing, finishing third, 6 ½ games back from the Terriers. While Hanover and Frederick battled for fourth place, poor Cumberland couldn’t get out of the cellar, finishing 26 game back from the leaders. The Martinsburg club protested Hagerstown’s league championship, accusing the Terriers of using an ineligible player. After review from President Jamison, the allegations were ruled unsubstantiated, and Hagerstown came away with the 1917 league pennant. Despite the challenges during the season, several positives came out 1917. The Blue Ridge League did have one Baseball Hall of Fame inductee r from this season, but it was not a player. Jamison brought in an 21-year old umpire from Wilmington, DE, named William “Bill” McGowan, who earned many accolades for his unbiased and professional work behind the plate. McGowan would later serve 29 years as an umpire in the Major League, until his death in 1954. Bill McGowan McGowan was inducted in the Baseball Hall of Fame in 1992. Gettysburg’s 17-year old infielder Jimmy Dykes would become a standout infielder in the Major Leagues, and had the distinction of replacing the legendary Connie Mack as the Manager of the Philadelphia Athletics in 1951. Hagerstown first baseman/manager, Jack Hurley led the league with an impressive .385 batting average, and Martinsburg’s Johnny Bates set a new league mark with 15 home runs. Martinsburg switch-hitting first baseman, Luzerne “Lu” Blue, established a record that took 80 years to match, when he hit grand slams from both sides of the plate in one game vs Frederick. Blue would later have a successful major league career with the Detroit Tigers and the St. Louis Browns. Despite winning only 46 games, the Frederick Hustlers did have several highlights, including 37-year old pitcher, Wick Winslow (21-12), who established a club mark with 21 wins, completing all 30 games he started, while tossing eight shutouts, and hitting a team-high eight home runs. Teammate Clyde Barnhart, who was playing 1917 Frederick Hustlers his third season with Frederick, was signed by the Birmingham club at the end of the season, en route to a ten-year career with the Pittsburgh Pirates (1920-29). Bottom row (from left) - John Doherty, Bill Phoenix, "Monk" Walter, Clyde Barnhart, Ralph Frasier. The end of the season marked the final demise of the Gettysburg franchise. Hanover also dropped out after the season, citing financial reasons. Though the Hanover club did return to the league in 1920, the Gettysburg franchise never returned to the Blue Ridge League. Every club in the circuit lost money during this season, but the four remaining clubs stayed resilient after completing their third full season in the National Association of Professional Baseball Leagues, under the leadership of President Jamison.